Getting involved is easy, and essential. Climate justice needs YOU! To stay involved for the long haul, it helps to find ways to plug in that make use of your skills and talents, and connect you to people and activities you enjoy. In this section of our site, you’ll find BCJN’s month-by-month meetings and activities, our film series, suggestions for taking action, as well as “BCJN Recommends,” a list of climate-related events around the city recommended by us and updated every 7-10 days. Finally, information about how to donate to our efforts — we thank you! 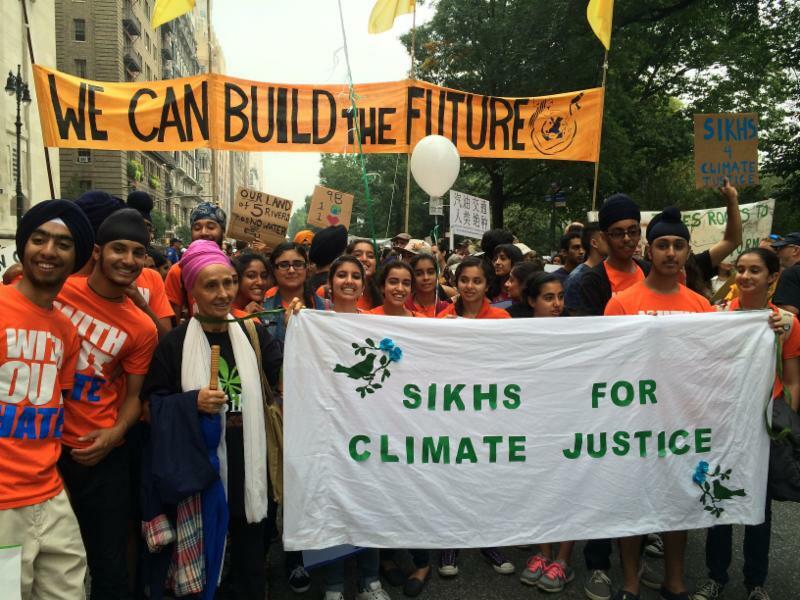 Above: Sikhs for Climate Justice at the 400,000-strong NYC People’s Climate March on September 21, 2014.